One Year of X Factor: Part 9 – Second Chance Draw…Wildcard! Physically, whether it’s working on the computer or hanging out at home, I’m back in reality. But mentally, I’m still well and truly in Vegas. The bright lights, the superstars, the cameras, X Factor. I can’t help but relive it in my head over and over again. That world was incredible, it was inspiring for me, it was an environment that brought new things out of me that I never thought I had. I’ve now gained new levels of confidence, new skills, a new passion & met a whole bunch of great people, the sort that I’d love to keep surrounding myself with. But, that world is gone. At least for now, at least until I can find another way to get back there. Physically & mentally, I’m also totally exhausted. Being invested in this X Factor Journey for this whole year has taken its toll & I’m sick with a cold. As the way it always happens, so often after an extremely busy or stressful event your immune system decides it needs a rest too & it’s time for a lie down. I’ve taken a couple of days off work & it’s a good time to think. To let go & start thinking about my future. But. There’s one thing in the background that’s making it hard. 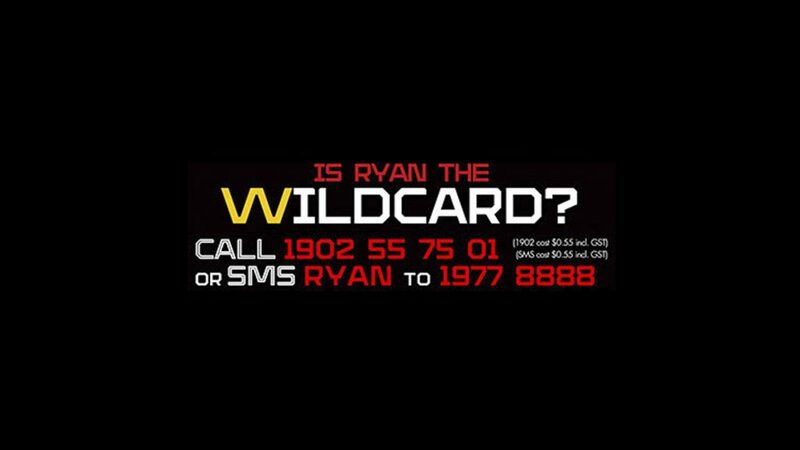 It’s a 10 second ad on TV that keeps popping up with one word… “Wildcard”. It’s a second chance possibility! No, I’m done! I’ve got to move on. But, what if? Live Shows? You could be back there! Again! Google searches and chat with friends all bring up variations of what the wildcard could be, but here’s one constant. They’ll be picking from the eliminated contestants from Home Visits! It’s an exciting thought, but it’s a double edged sword. The chance to come back is exciting, but I’ve got to move on. I feel like I’d much rather they cut my head totally off rather than leave this last little strand of hope! But there’s nothing I can do but rest & wait. Rest to get over this cold & wait for.. Well I don’t even know! Thursday, I’m lying bed and the phone rings. It’s a producer from X Factor. That’s an interesting person to be hearing from.. The news totally doesn’t sink in when I hear it & it still doesn’t when I hang up the phone. But sure enough, not long after, it does. That world, I know it’s still only a small chance but..
It’s so amazing, since I’ve been home so many people told me they thought my story wasn’t finished. I didn’t believe them, I couldn’t! I thought it was over so I had to move on. But now the dream is still alive! Incredible! So unbelievably I find myself packing my bags to move up to Sydney for I don’t know how long…Until I get eliminated!! By the public!! Crazy!! Of course, this whole new part of the journey is completely top secret and it makes it all the more exciting. So I’ve only told my closest family and friends & I know, when I arrive up in Sydney to meet the top 12 contestants it’ll be a nice surprise for them too!! So, I fly up to Sydney, drop by Fox Studios where all the filming is done and settle into the accommodation, reuniting with contestants and crew all along the way. It’s so exciting, everyone around the place is so excited! This is where the magic happens!! The days that follow include some of the best experiences I thought I’d never have. We have photoshoots, vocal workshops, recordings, interviews, promo shoots & even choreography. It’s all a steep learning curve but so much fun. Us wildcards do run on a slightly different schedule to the top 12, but it’s basically just as exciting. The during down time, it’s just time to relax, practise, play a bit of soccer & most fun of all, watch the shows as they air with all the other contestants. Because we’re all watching them for the first time too! Watching myself on TV is strange, before each performance I get nervous again, like I’ve forgotten that it’s already done…But sure enough it goes well! And it all appears just as I remember it! The only point of concern is the upcoming Sunrise performance, we’ve been scheduled to perform the morning after the final episode of Home Visits, where we get eliminated. The public by then, will have been made aware that we’re competing for the wildcard so voting lines will be open (yes, Australia will be voting for me! amazing!). It’s the only thing we can control. For me, unbelievably, the performance is not something I’m worried about. I’m so confident with the song & after watching the episodes as they’ve aired on TV, I’ve taken comfort in that the public will pretty much have made their minds up on who they’d like to see return. So performing is more of an opportunity, regardless of the result, to show Australia who I am as a performer, on live TV, with no editing. So that’s how I’ll treat it. Performance morning is busy, there’s a lot of people around & there’s buzz, because it is live TV broadcast nationally after all!! Everything moves quickly up until performances, microphones, sound checks, but it’s all nothing that surprises me after this whole X Factor Journey. It’s actually a moment where I realise who much this has changed me, and for the better. 12 months ago I’d be petrified of this situation, but now, not at all. So I hear Luke Jacobz give me an introduction, my music starts…There is that (deep breath)… But this time it’s different. To anyone who caught it, it would have appeared as simply as a minute of singing on Sunrise from anyone, but I’m not afraid to admit, that to me it was a quiet moment of personal achievement. Like I’d just realised that looking back from that moment, the previous 12 months of my life were something that I could be of proud of. Because it has been a long journey from an extremely low point. And even if the X Factor part of that journey were to end now, I can still be proud of it, and I can now use the lessons learned to move further into a new & exciting life. Wherever it may head! I guess I’ll have to wait until Sunday to find out!